Now, before I’ll proceed with the MyBB chatbox installation guide, I’d like to point out a couple of interesting facts to those not very familiar with the platform. 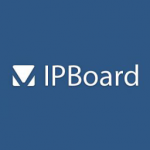 MyBB Group, the developers of the forum software, are big on security issues. If a high-risk security is exploited, a patch is usually released within 24 hours. The group’s downloads are now hosted at GitHub, a leading web-based repository hosting service, ensuring high level of security. MyBB-based discussion boards also work with multiple databases like MySQL, PostgreSQL and SQLite and provide failover support, so when one database crashes, the next one up is loaded right away. I don’t want to clutter this post with too much information so I encourage you to take a tour of MyBB features after the jump. The last thing I’d like to mention before going to the MyBB chat plugin integration guide is the thriving community centered around the platform constantly fuelling its growth. 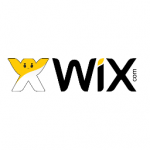 Download the chat plugin for MyBB and extract the files to your computer hard drive. Go to the inc > plugins folder and copy the chatweecode.php file to the Upload > inc > plugins directory on your FTP. Now, log in to your MyBB Administration Control Panel. Next, select the Configuration tab from the bar atop the screen and click on Plugins in the column on the left side of the screen. 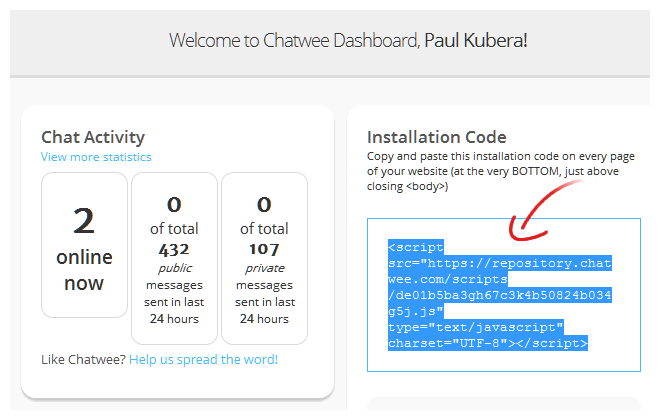 Once you’re there, find the Chatwee Live Chat plugin on the list of Inactive Plugins and click the Activate button. Easy. Next, go back to the list on the left and click on Settings at its very top. Scroll the displayed screen down until you’ll see the list of Plugin Settings. 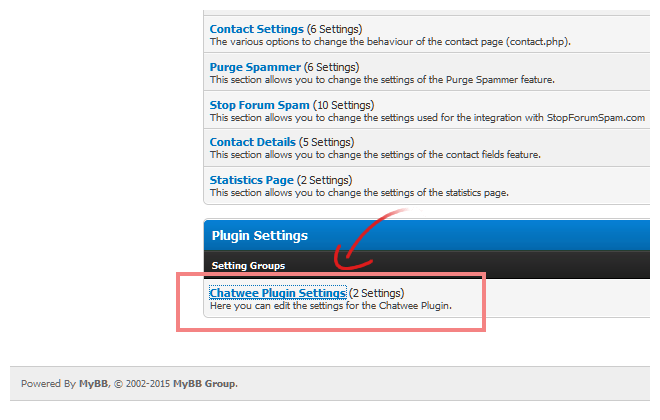 Find the Chatwee Plugin Settings link and click on it to adjust your MyBB chat plugin. Lastly, log in to your Chatwee Dashboard, copy the MyBB chat module installation code you’ll see on the home screen and paste it into the field titled Chatwee Code back in the Administration Control Panel. Click on the Save Settings button below and you’re all set and done. 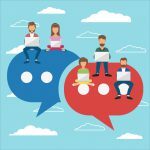 With all the MyBB’s powerful features, community-created themes and an extensive range of plugins, you can create a unique experience to boost community building efforts among your online forum members. Now that you’ve finished MyBB chat plugin integration, you can go ahead and personalize the shoutbox too. Start with the most basic elements like colors, texts and sizes to make it match the appearance of the rest of your discussion board. 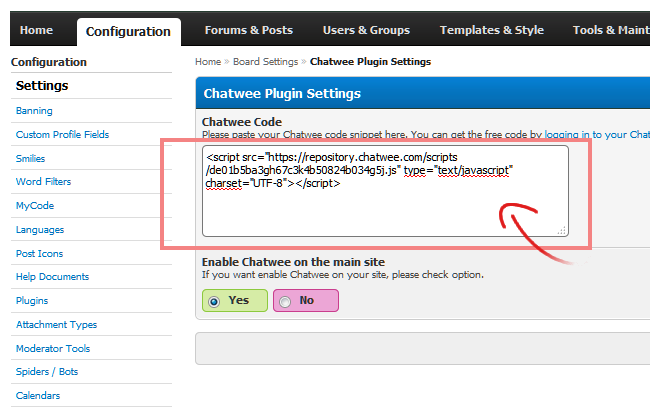 Customization of chat module for MyBB is an affair you can easily take care of in Chatwee Dashboard. Just log in and go straight to the Customization tab on the left hand side of the screen. Advanced users, who expect more of their MyBB chat plugin, can conveniently implement the Single Sign-on option, which automatically logs the users, who have signed in to the forum in to the chat, as well as use Chatwee’s API, all of which can be done in the Chatwee Plugin Settings section of the MyBB Administration Control Panel. You can always Contact Us, be it that you have any doubts or questions. In the meantime, I encourage you to take a peek at the Chatwee Support Center or follow the links below to obtain more information on various aspects of MyBB chat plugin integration.